Well boys and girls, it’s Saturday, which means time for yet another installment of Smashing Saturdays! This week has lots of manly men with swords, a freaky new Pokémon, the return of a classic stage, some bumping tunes from the Mega Man series and more. Additionally, I checked my list, and realized I hadn’t done a Character of the Week for one of my absolute favorite brawlers. So this week I’ll remedy that error, and hopefully keep you all entertained in the process. Let’s get Smashing! Let’s get something out of the way real quick. I love the original Xenoblade Chronicles, but I hate Shulk in Smash Bros. Not cause he’s a horrible character, but because he murders all of my mains. I made the mistake playing against a really talented Shulk player years ago when I was regularly playing Smash Bros. every week, at the height of my abilities, and he cut through me like a buzzsaw through a feather. I just couldn’t keep up with Shulk’s ridiculous range and hard hitting sword attacks. Worse, I was unable to replicate such success whenever I played as Shulk, mostly cause I had a hard time switching modes on the fly. Thankfully, the updated mode swap looks much more intuitive, so maybe I’ll spend some time learning to love Shulk in Ultimate. Generally when they introduce a new Pokémon I instantly recognize it, but that wasn’t the case here. 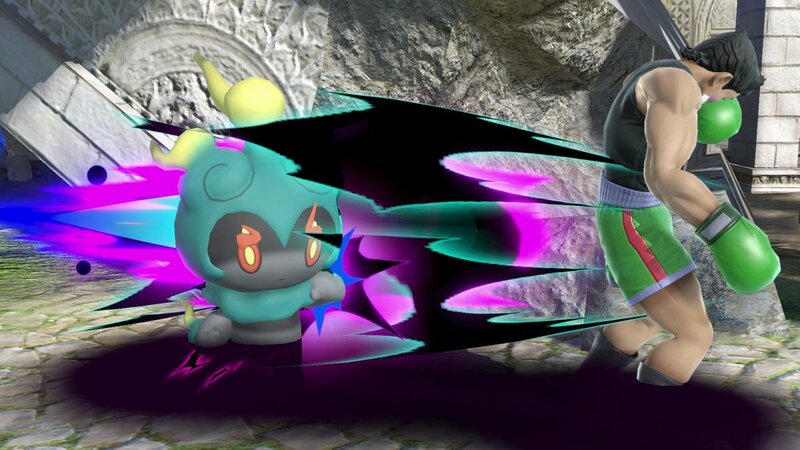 After giving it some thought, I realized it must have been because Marshadow was an event specific Pokémon in Sun / Moon. Thankfully, I don’t have to be familiar with the ghostly gent to appreciate him. He’ll hide in shadows and burst out to punch foes, even alternating who he attacks. Sounds like a good way to keep the anxiety dialed up to 11. I definitely approve! It’s fitting that the music to one of the most harrowing levels in Mega Man 2 is making its way to Ultimate. Flash Man Stage is a relentless and musical masterpiece, and does a great job conveying how challenging that stage truly was. Composed by Keiichi Okabe, it has a persistent rhythm that does a good job representing how you have to keep rushing forward. To take a listen, just click here. 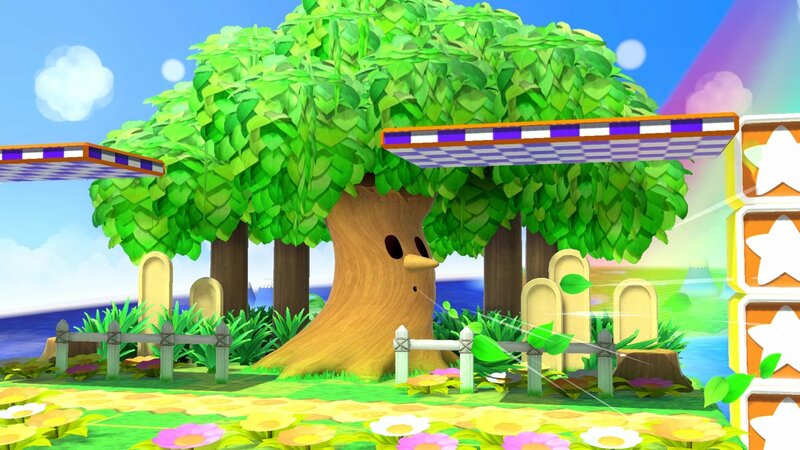 Speaking of classic stages, I’m very pleased Green Greens is coming to Ultimate. Kirby has a lot of iconic bosses, but few as well known as Whispy Woods. The fact he gets his own stage to harass brawlers is great, blowing them off the screen and dropping apples onto their heads. The fact you can eat them or use them as weapons is even better. Final Fantasy VII is a landmark entry in a storied series, so it’s fitting Cloud made his way to Smash Bros. At first I felt he didn’t quite fit in, but I grew to like how he played, unlike Shulk. He’s hard hitting, has good range and can play keep away with his projectiles. The fact he can use Limit Break to do even more damage is just icing on the cake. The cherry on top? His Advent Children costume swap. I really enjoyed Palutena’s personality in Kid Icarus Uprising, which of course means I hate how she plays in Smash Bros. More than anything, I just don’t love characters who rely on counters, and 75% of her specials involve countering things! That said, I can’t deny she’s a powerful fighter, and more than capable of putting the smack down on foes. My favorite aspect of her is that this demure goddess pole dances to taunt her foes. Well played, Palutena. Next up is a Character of the Week that I should have done weeks ago! I grew to love Earthbound after briefly playing it back in the day, despite the fact that I still haven’t beaten it (for many reasons). But that doesn’t mean I don’t love Ness in Smash Bros. For whatever reason, I love the odd characters, mostly proving they are worth playing despite the opinions of other players. See my other mains such as Peach and Yoshi for proof. But Ness was a special case. People may think Peach was harder to master, but that’s not the case. Ness took forever to master. The reason being, his recovery is one of the most complicated and versatile moves in the game. I spent hours on hours mastering PK Thunder, learning how to curve it just so to poke and juggle my foes. Then I spent even more time learning to use it in mid air to catapult Ness into unsuspecting brawlers. In fact, I may have spent too much time, since when I play as Ness, I mostly rely on PK Thunder. Sure, I use PK Fire to play keep away, but barely use PSI Magnet or PK Flash. But even then, Ness is still an amazing character. His yo-yo Smash is great, and his bat is devastating. 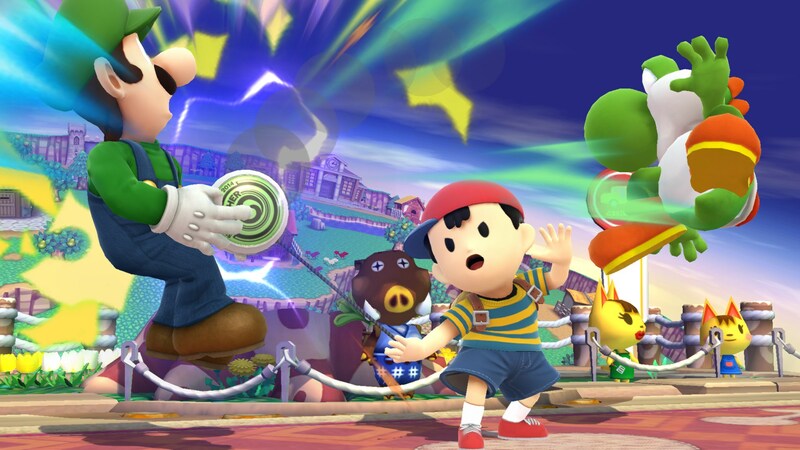 So even though I only regularly use half of his special attacks, Ness is still a great glass cannon. I’m just hoping he’s even better in Ultimate. Thanks again for joining us for another Smashing Saturdays! The countdown to the release of Ultimate is getting closer, so stay tuned in the coming weeks for more installments.